By choosing one of Eco-TAV’s Take-out Products, you can now reduce both your use of paper napkins and those little paper bags provided at coffee shops for take-out! And you can use them to bring your food from home when “brown-bagging it”! Be creative and have fun while reducing your use of plastics! 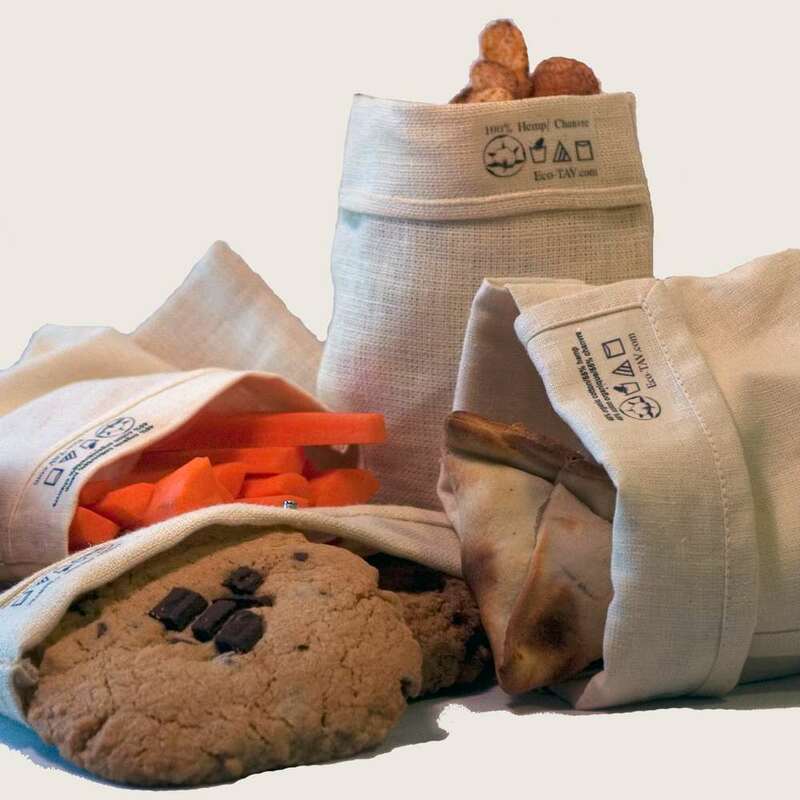 The Take-Out products come in a durable an easy care 45%organic cotton/55% hemp muslin. Natural, and unbleached, this fabric is equally machine washable or hand wash and hang to dry, softening gradually with use, and has a wonderful durability factor due to the hemp content. Not just a napkin, these large sized hemp or cotton napkins feature a double life. 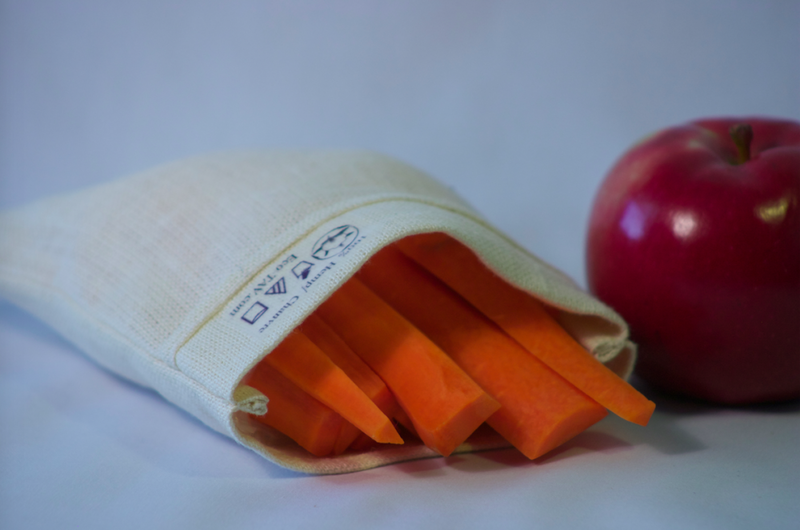 With the Eco-TAV exclusive design and folding technique, you can use the napkin as a food pouch, or bowl, when you pop into the coffee shop for your muffin, biscotti or croissant. Or grab a quick sandwich, filled naan bread, or pakoras for your lunch and know that this fabric option is easily washed! The unique snapping system keeps the bag intact while in the bowl form. Release them when you are finished to shake out crumbs or even spread it out as a placemat while having your snack! 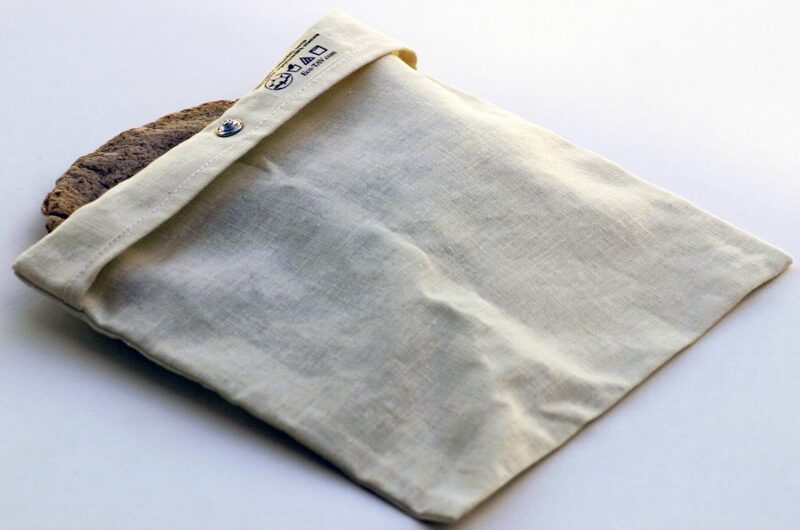 These simple hemp or cotton food bags have a sewn-in flip top that will help keep the food inside the bag while transporting it. 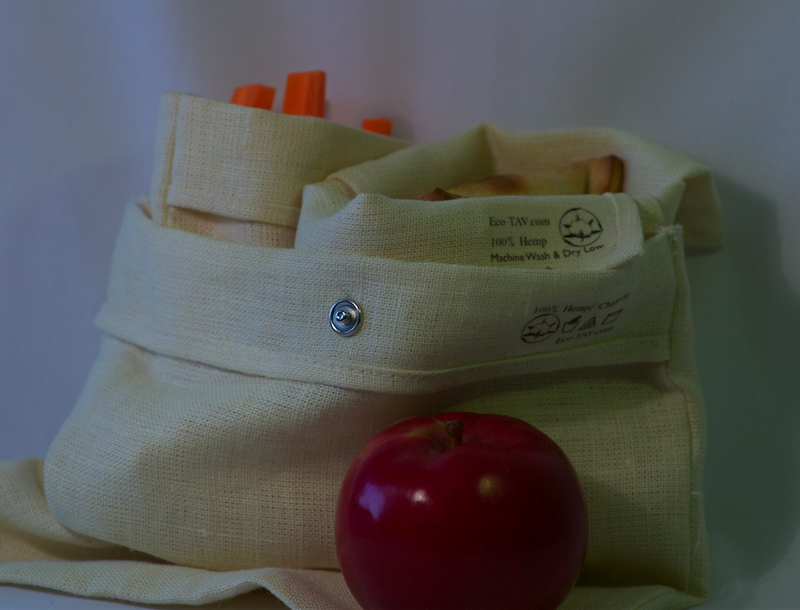 Designed to allow for easy use, with a wide opening to allow for most sizes of food you may want to put into it, the seams are french seamed for a clean feeling when you shake out that bag! Use it to bring a sandwich from home, carry fruit and nuts as a snack, or anything else! It folds up so compactly, you can leave it in your purse or pocket to have ready anytime the mood for a quick bite hits! Available in three handy sizes; the mini-pouch, the sandwich pouch, and the large pouch. 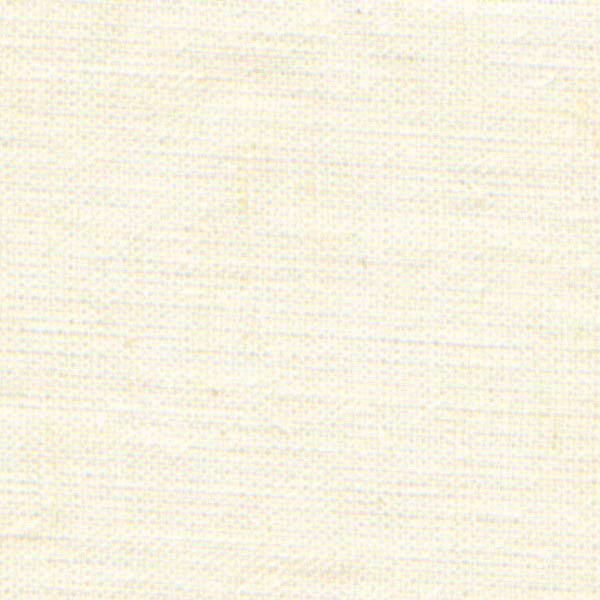 Naturally off white colour and slightly stiff feeling gradually softens with use. Can be either machine washed and dried with your laundry or hand washed with your favorite biodegradable dish soap and hung to dry! The colour may fade over time and cleaning. DO NOT BLEACH – for so many reasons!! 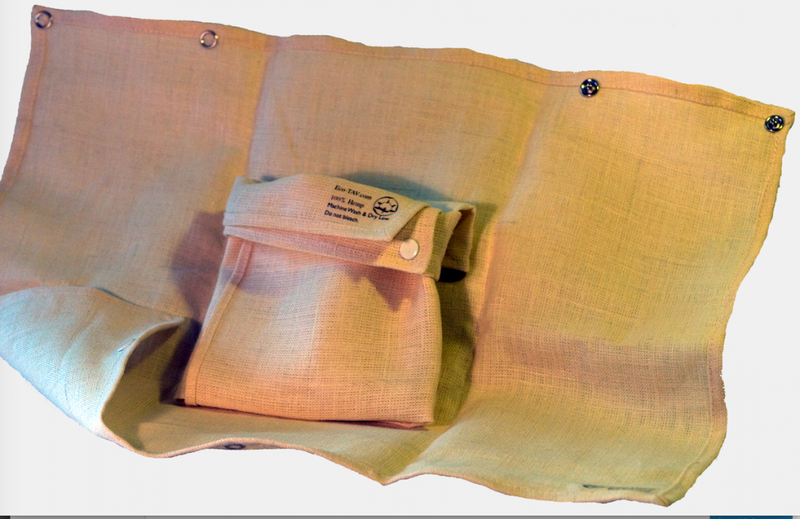 Get one Eco-TAV Napkin and one Eco-TAV Pouch to create a lovely gift set for yourself, or someone you know!